Drought is considered the main environmental factor limiting productivity in eucalyptus plantations in Brazil. However, recent studies have reported that exposure to water deficit conditions enables plants to respond to subsequent stresses. 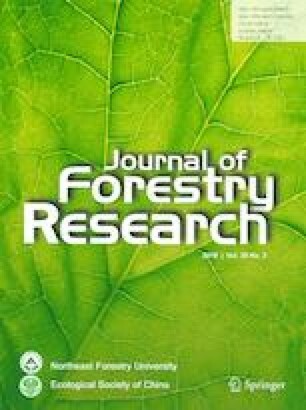 Thus, this study investigates the ecophysiological acclimatization of eucalyptus clones submitted to recurrent water deficit cycles. Eucalyptus seedlings were submitted to three recurrent water deficit cycles and anatomical, morphological and physiological changes were analyzed. The results were: (1) Eucalyptus seedlings responded to water deficits by directing carbohydrates to root and stem growth; (2) Size and number of stomata were reduced; (3) Stomatal conductance decreased which allowed the plants to reduce water losses through transpiration, increasing instantaneous water use efficiency; (4) The relationship between gas exchanges and available water contents allowed the seedlings to uptake the retained soil water at higher tensions; and, (5) Physiological recovery from subsequent water deficits became faster. As a result of these changes, the eucalyptus seedlings recovered from the same degree of water stress more rapidly. Project funding: This work was supported by the State of Espírito Santo Research Foundation (FAPES; Grant No. 65768051/14). The online version of this article ( https://doi.org/10.1007/s11676-019-00926-9) contains supplementary material, which is available to authorized users.